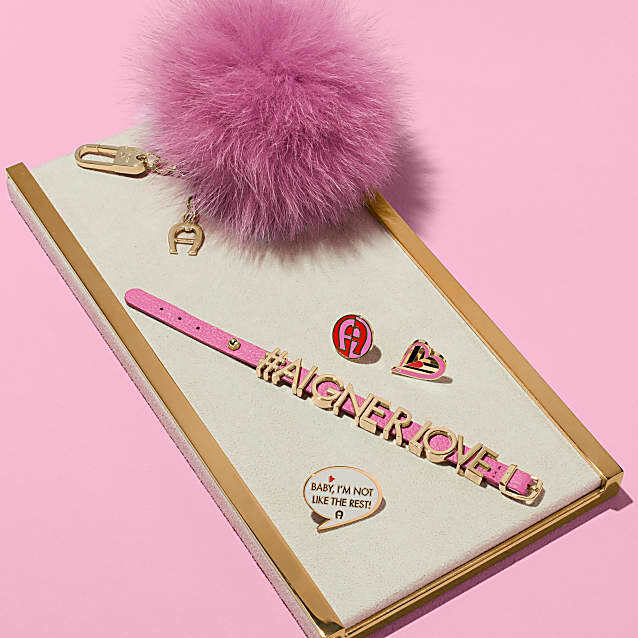 #AIGNERLOVE: this key-chain stands for the symbol of love. 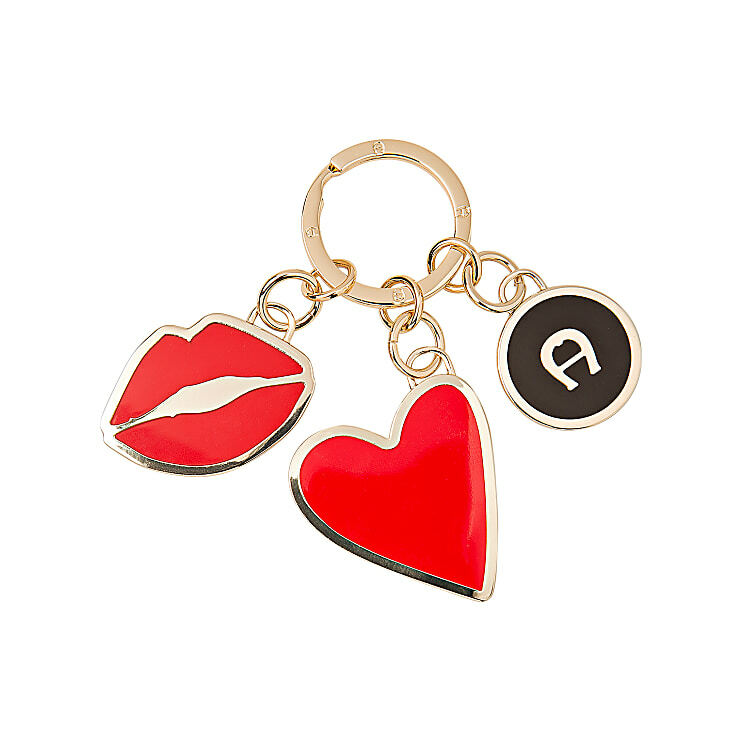 The bright red kissing lips and the heart masterfully surround the AIGNER logo in the centre. With this bright colour, you will never have to search for your keys again because this charm will immediately catch your eye!